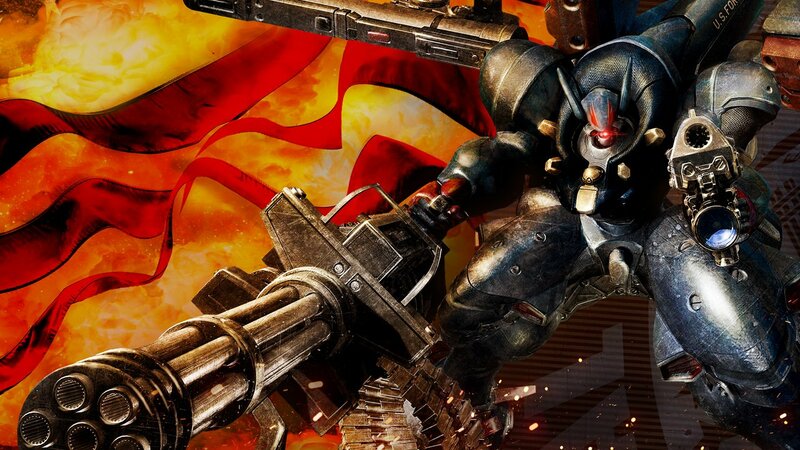 You might already be familiar with Metal Wolf Chaos. Developed by From Software and released in 2004 as an Xbox exclusive in Japan, this title is a favorite among fans of giant mechs and animes like Mobile Suit Gundam. Devolver Digital is re-releasing Metal Wolf Chaos as Metal Wolf Chaos XD, with upgraded visuals, refined controls, a new save system, and 4K, 16:9 support for modern displays. Metal Wolf Chaos XD is an excellent Japanese parody, showing exactly how the Japanese view American stereotypes. Most of the game is dubbed to English with the same intensity you might expect from a Japanese voiceover, and the story is beyond exaggerated. The player takes the role of the president of the United States himself, piloting a gigantic mech against the evil forces – his rebellious VP. Ridiculously enough, you can hear the president cheering for the United States (and himself) over the radio as you play. Hopefully, this won’t give Trump any ideas. It’s hard to overlook the absurdity of the president strapping into a mech to save the United States single-handedly. At the same time, this overdose of American patriotism is more relevant today than it was in 2004. It might also be why Metal Wolf Chaos XD is a thing, to begin with. Protagonist Michael Wilson, the fictional 47th American president, doesn’t seem so unrealistic in a world where Donald Trump is the 45th American president. The mech you are piloting is the most advanced the US army has to offer. You have quite the arsenal, where machine guns and RPGs are merely a small fraction. You are free to switch your two primary weapons whenever you want, even during combat. When you do that, your entire arsenal unfolds out of your mech in a pretty awesome way. You can have one type of weapon mounted on each of the mech’s shoulders, and you use the left and right triggers to fire the corresponding ones. Finding the right combination of weapons to use can easily tip any combat situation in your favor. Some of them can slowly lock-on targets, while others require a little finesse – it all depends on what you need right now. However, you might end up sticking the weapons you find the coolest. Each one has a special ability (more like an ultimate move) that will devastate almost every enemy on screen with a single, crushing hit. Apart from shooting your enemies into oblivion, your mech and boost itself using a jetpack, fire while hovering, and stomp the ground for extra damage when it lands back down. As you might have figured out, your goal is destruction, be it specific objectives, boss characters or everything around you. 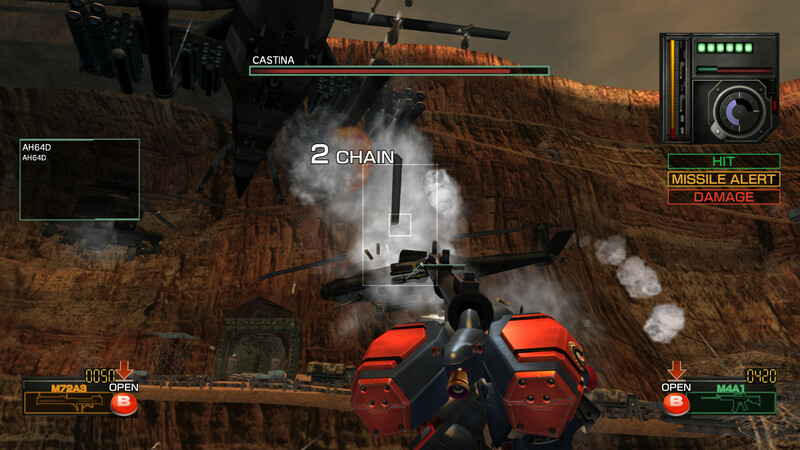 The game world is very destructible: vehicles, parts of buildings and entire bridges can be blown apart, sending soldiers flying and crushing larger mechs. You can sort of tell which objects are destructible in the same way you could in old cartoons – they look a bit different from the rest of the environment. 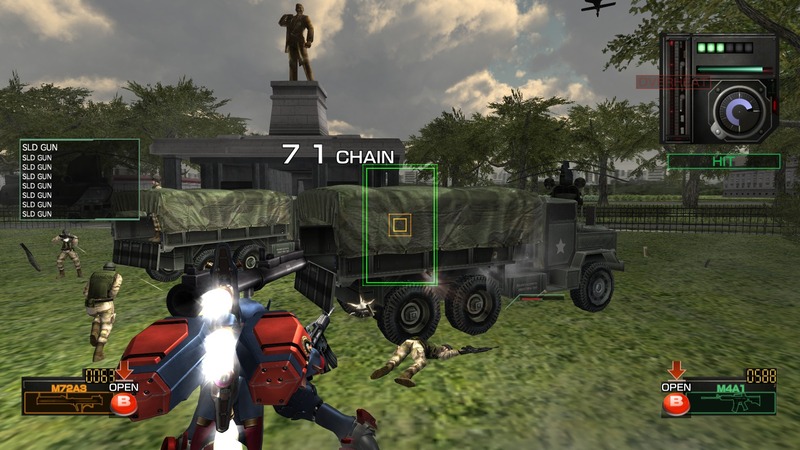 However, Metal Wolf Chaos XD manages to integrate these objects smoothly throughout the levels. So why bring Metal Wolf Chaos back to life after 15 years? Over the years, this silly game gathered quite a cult following. The funny thing is that a big chunk of these fans never actually played the game. Without a proper western release, all the menus and UI were in Japanese only, something that a lot of players outside of Japan struggle with. The game wasn’t meant for an American audience – it was just making fun of them. Metal Wolf Chaos XD is going to change that. It’s also a pretty good timing when you consider there aren’t a lot of new mech games coming out soon. 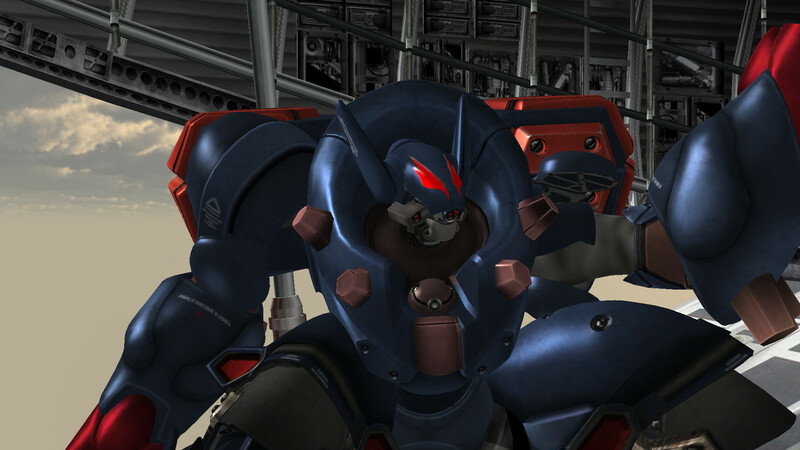 From Software might be working on a new Armored Core game, but right now it seems they are much more interested in bringing Metal Wolf Chaos back to life. It might not be as tactical as some of the other titles in the genre, but this arcadey, easy-to-pick-up title is perfect for those who just want to indulge in utter destruction and feel better about the patriotism surge through them. Metal Wolf Chaos XD will be available on Xbox One, Playstation 4 and PC on June 30, 2019.